Aside from make up we can also do other artistic stuff like face painting 🙂 This really squeezed out our artistic skills and we loved it. 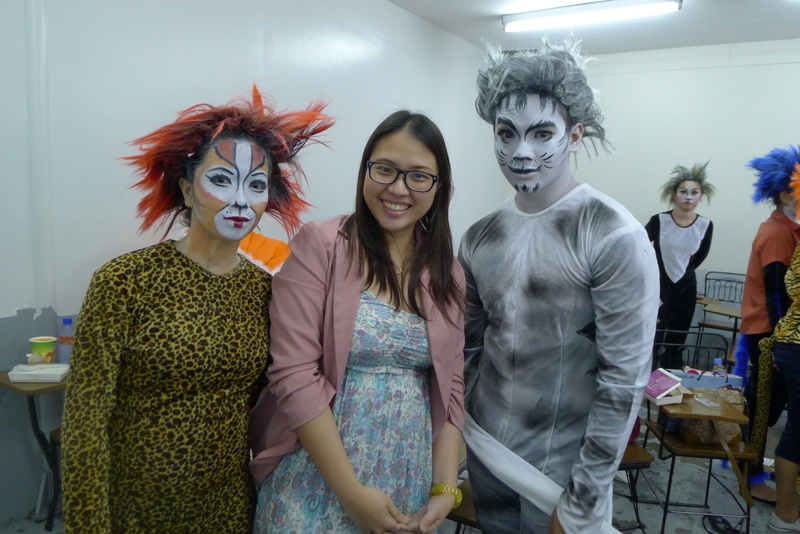 Posted on March 28, 2012, in Events and tagged adamson, adamson university, cats make up, cats musical, face paint, full face paint, make up artist manila, make up artist marikina, make up by nybie ng, nybie ng, play, play make up, theater, theatrical make up. Bookmark the permalink. Leave a comment.